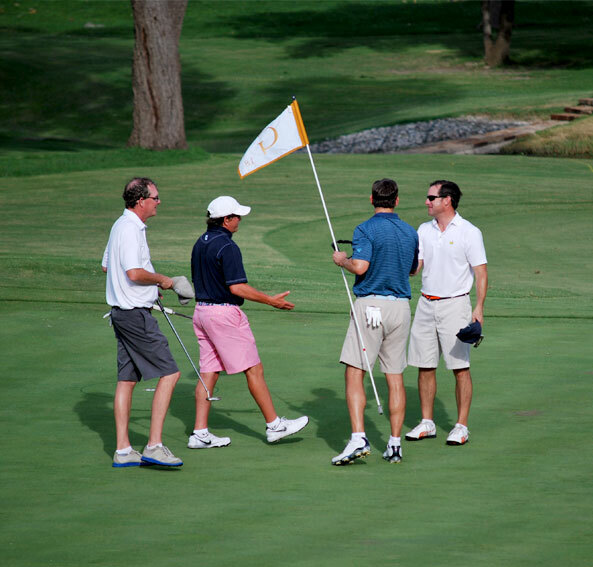 Established in 1946, Northwood Club is a premier country club located in the heart of North Dallas. Tucked quietly in amongst green fairways and live oaks, the Club is an oasis for our members and their guests. Home to an historic golf course that hosted the 1952 United States Open golf championship, Northwood’s staff and facilities provide a family-friendly atmosphere for members. In addition to the recently restored golf course, practice areas and new short course, Northwood features one of Dallas’ finest tennis facilities with 12 outdoor hard courts and four indoor courts, a large resort-style swimming complex, a state-of-the-art Wellness Center and the 65,000-square foot traditional Clubhouse. Membership in Northwood Club is by invitation. Northwood Club is a private, member-owned club, and guests are welcome to visit when accompanied by a member. Nestled in the heart of Dallas, Northwood Club has been one of the region’s most renowned clubs since opening in 1946. Featuring a championship golf course originally designed by Bill Diddel, Northwood Club became the youngest U.S. Open venue in 1952. Julius Boros, World Golf Hall of Fame member and three-time major champion, held off Ben Hogan in his quest to win three consecutive U.S. Open titles. The course, added to the Texas Registry of Historic Courses by the Texas Golf Hall of Fame in 2015, remains one of the state’s preeminent layouts. Restored in 2017 by architect Tripp Davis, Northwood Club challenges golfers of all abilities. Lush fairways sprawl across 175 acres, winding through a valley of gently rolling hills and towering trees. The majestic landscape features dramatic vistas of White Rock Creek, which cuts deep through canyon-like walls of chalk. Many of the restored features include bunkers, greens and tees which feature many original Diddel characteristics. The course is predominately grassed on tees, fairways, and rough with Northbridge Bermudagrass, one of the leading and best grasses for the South Central region. Northwood remains as one of the few clubs in North Texas with bent grass greens, featuring 007 on its lush surfaces. With an eye to growing the game, Northwood added a four hole short course in the fall of 2017 to its golf amenities. This “playground” is a superb environment to learn the game, and work on the scoring shots around the green. Upon reopening the course, Northwood reinstated its caddy program. Walking caddies and forecaddie services are available. Northwood Club is an exciting and dynamic community that fosters creativity, diversity, and career growth. There is something for everyone at Northwood Club, whether you're interested in full-time, part-time, or seasonal work. When you work for Northwood Club, you're family. Our jobs offer competitive benefits within an environment built around great people. Our mission is to make every member feel special. Click here to learn about our upcoming Job Fair – April 13, 2019 from 9:00 a.m. – 2:00 p.m.
Click here to view our current job opportunities.